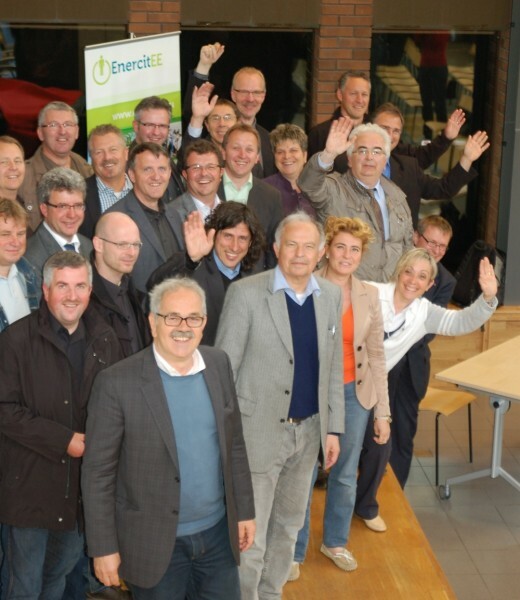 Mayors gathered to share spirit of Växjö » EnercitEE Blog - EnercitEE is a European project aiming at enhancing the understanding of Energy Efficiency among different stakeholders and improving the respective local and regional policies. 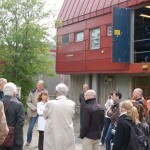 More than 30 mayors from all EnercitEE regions came together in Växjö, Sweden from 30 May to 1 June 2012 to visit several examples of “Europe’s greenest city” and to exchange energy efficiency solutions at the local level. The policy maker exchange combined in a dense 2-day programme: a series of presentations about Växjö and its vision to become fossil fuel free until 2030, a study visit of good practices and a panel session discussing Växjö’s strategy and impressions taken by the mayors. 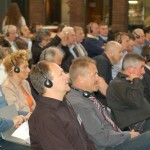 Learning on the spot and sharing experiences for mayors was a premiere within the INTERREG IVC Mini-Programme EnercitEE. It revealed that many cities already implement similar intelligent energy efficiency solutions which can be found in Växjö. However, the overall commitment and structuring of Växjö’s strategy in an integrated approach is a shining example in the EnercitEE regions. Due to the differing framework conditions for local authorities in the different countries, for example with regard to tax collection, certain energy efficiency solutions cannot be transferred similarly. 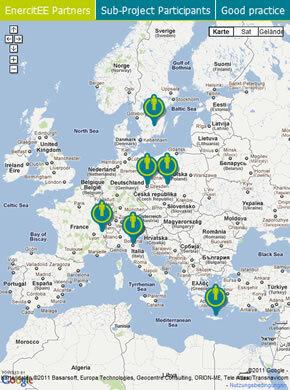 Prior to this policy maker exchange, mayors from all regions could apply for participation and were selected on the basis of their past activities and future plans on energy efficiency. 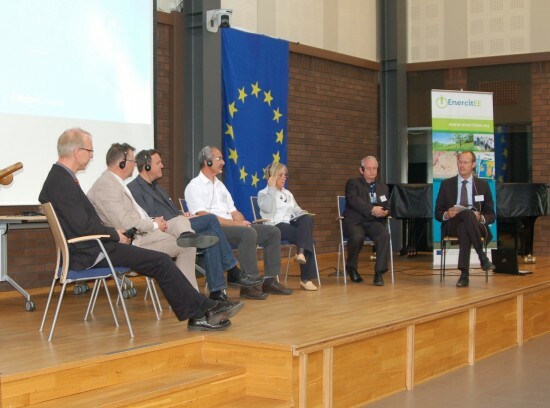 Mayors from Lower Silesia, Haute-Savoie, Emilia-Romagna and Saxony highlighted in the final panel discussion certain good practices to learn from, such as the low energy efficiency 8-storey wooden buildings in Växjö. The exchange of views and experiences especially among the mayors from the relevant regions was well received. The comments and questions that were raised by the mayors in the 2 days will help EnercitEE to further focus on specific topics for the implementation of tailor-made energy efficiency solutions.